Sold by CLIFFORD JAMES and Fulfilled by Amazon. Gift-wrap available. 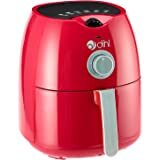 Healthy Cooking; Use this air fryer to cook low fat, low calorie meals using just a small amount of oil. 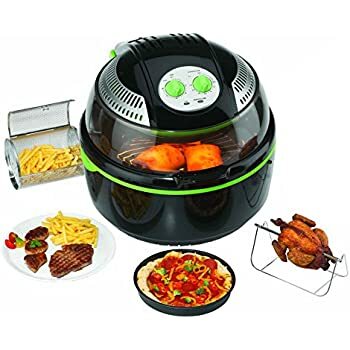 Extras Included, Air fryer comes complete with accessories - tongs, grilling rack, fryer basket and rotisserie forks /skewer. Sold by CLIFFORD JAMES and sent from Amazon Fulfillment. 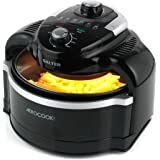 Enjoy efficient, fast and healthy cooking with this 1300W multi-functional air fryer from Cooks Professional. 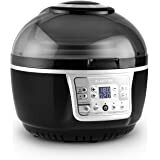 This versatile kitchen essential will allow you to roast, fry, bake, stir fry, grill and BBQ all in one compact and stylish unit. 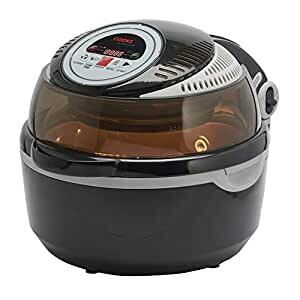 The 10-litre capacity air fryer will ensure your food is cooked to perfection every time with its inbuilt control panel and even heating fan technology. The double cell construction also allows the outside to remain cool when in use. You can cook with little to no oil and create a huge array of healthy meals. 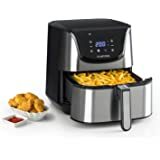 It also produces less cooking smells than normal fryers and is easy to clean for daily use. 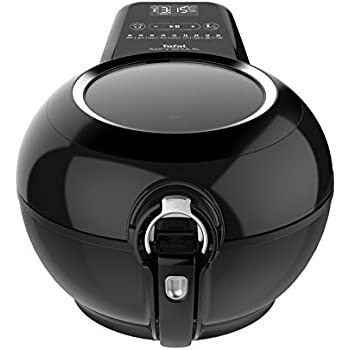 The non-stick bowl requires little to no oil and browns and crisps food perfectly, creating meals with 80 per cent less fat content compared to traditional cooking methods. It also makes cleaning the bowl easy, simply remove the bowl and wash it in hot soapy water and dry thoroughly. 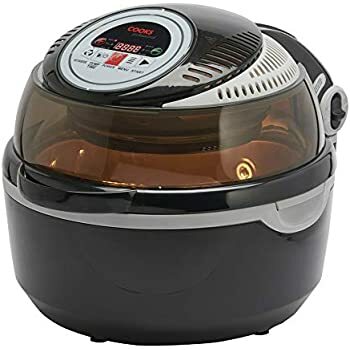 There is also a pause function on the control panel and by opening the lid of the air fryer during cooking the oven will pause, all settings will be saved but you can check on your meal, add ingredients or adjust the seasoning half way through cooking. The keep warm function is there if you want to keep your meal warm just adjust the temperature to 150 °C until you are ready to serve. 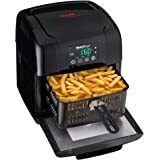 The fryer basket can be used to fry frozen chips, stir fry vegetables and more. 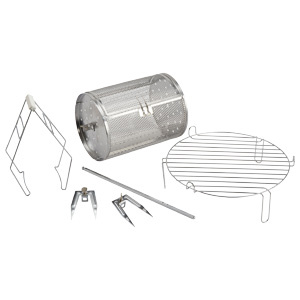 The grilling rack allows you to cook pizza, steak, sausages and even toast. There is also a rolling cage allowing you to cook homemade chips to perfection. 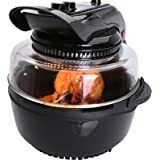 The rotisserie skewers are perfect for use with a whole chicken and the tongs allow you to retrieve your tasty treats safely. You can also remove the accessories completely and cook a chilli con carne in the non-stick bowl provided. I had just bought a new cooker, but I have only used it twice since I bought my AIR FRYER its great. Wonderful roasties,yorkshire pudding and dumplings. 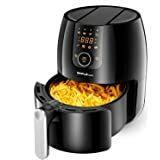 This is a brilliant addition to the kitchen. As I live by myself with 2 dogs I find it onerous, on a daily basis, to use the large electric oven as it takes an age to heat up to the required cooking temperature. 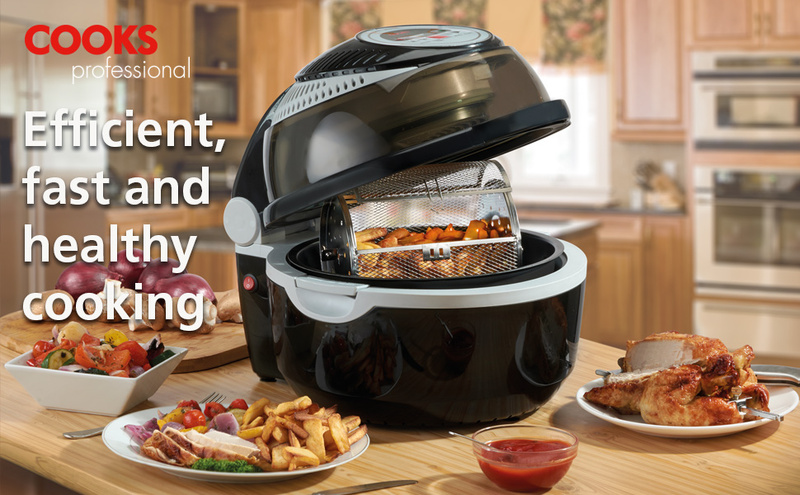 This unit heats up within seconds, literally, and cooks the food to perfection. 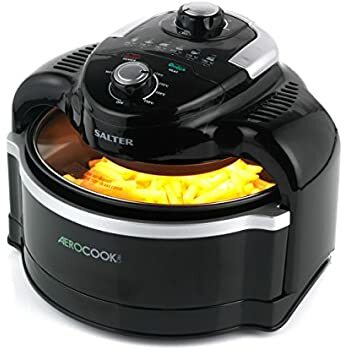 You can cook several items at once and the attachments are good for the size of the unit. 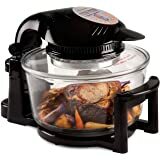 The rotisserie is very small but it is excellent for cooking small items of food. 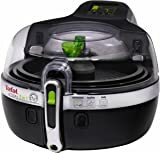 The only drawback is not with the unit itself but with the instruction manual which is basic and does not give the complete operating instructions. For example when the unit is 'up' to temperature the internal light goes out. This is not explained in the manual. Obvious if you think about it but confirmation had to be gleaned from the manufacturer. The manufacturer was extremely helpful in this regard. The only other slight ergonomic falling down is with the tongs. These are not conducive to picking 'stuff' up from the unit once cooked. A better designed set of tongs would be beneficial. Other than that I am extremely happy with the item and would highly recommend it. 5.0 out of 5 starsGreat machine, well worth the cost. 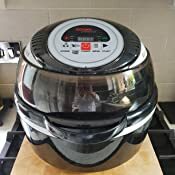 Love this machine, so far have used it to cook whole chicken, roast potatoes ,pork shoulder joint (with great crackling) and chips. I used the rotisserie which gave golden even cooking. The only negative I have is the instruction booklet, could be better explained and a few more recipes would have been nice. 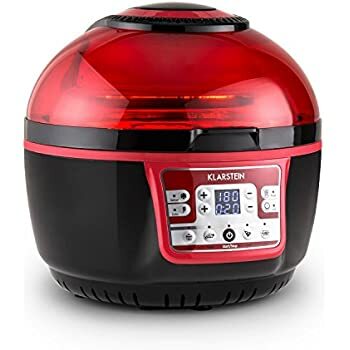 I would highly recommend this machine. Nice! 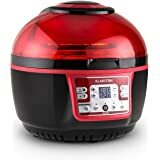 Love cooking medium to small chickens in this, an hour & a half on the rotisserie gives a perfect chicken! 4.0 out of 5 starsEasy to operate. This is the best Halogen that I have bought. 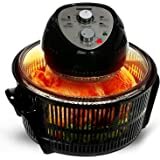 There are 6 different ways of cooking food and the Rotisserie works perfectly with a small Chicken. Food cooks so much faster than an ordinary Oven or Grill so I make a note of how long Food cooks so I can adjust the settings next time. 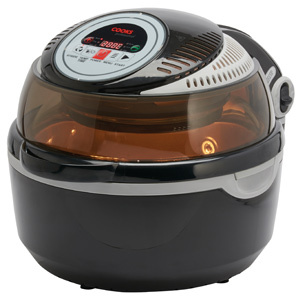 The different cooking options have programmed times and temperatures but you can increase or reduce both. The inner pan can be removed for cleaning. The lid stays open once you hear the “click” so is much safer than models where you have to remove the lid separately for checking on your food. 5.0 out of 5 starsUncomplicated, easy to use and perfect results. Absoutley brilliant. 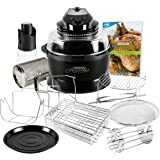 Easy to use,cooks food perfectly. Low on electricity and cooks in half the time. Quite ,easy to clean ,Brilliant. 4.0 out of 5 starsGreat and easy to use. 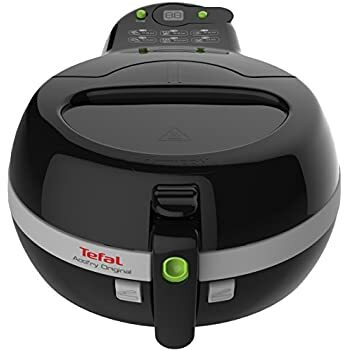 I have had s couple of these over the years, easy to clean and cheaper than turning on a big oven, but they need to sort out the Teflon on inner dish as it just peels off and goes rusty. I line mine with heavy duty oven liner which I then wash. If this problem was sorted it would be perfect.